In highly liturgical churches the fourth Sunday of Lent is Laetare Sunday (or Rejoice Sunday) because of its focus on God’s grace. 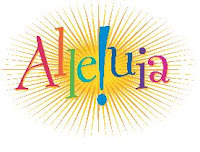 To highlight this and look forward to Easter in just three weeks, take a peek at the buried “Alleluia!” and note that it is still there. Even practice an alleluia song (Praise Ye the Lord Alleluia?) in whispers. glad for any of us to use it in our worship. A crucifix (cross with Christ hanging on it) reminds us that God loved us enough to live among as Jesus and to forgive when we killed Jesus. Every time we look at it we remember how very much God loves us and all people. In many protestant congregations this is an opportunity to introduce a cross that is important to Catholic and many other Christians. If you don’t have one, borrow one (crucifix jewelry is an option) or display a picture of one (I found this one Googling “crucifix images"). 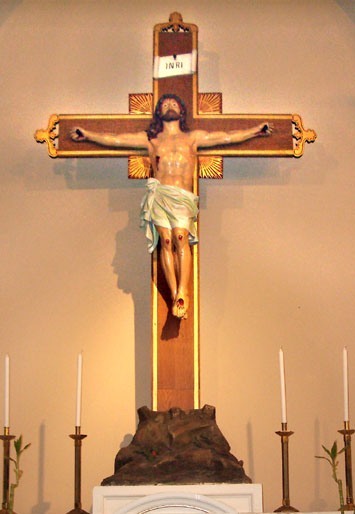 If the crosses in your church are empty, compare them with their message that God raised Jesus from death to the crucifixes noting the valuable message in each one. Artists in Central America paint crosses with pictures of lots of people on them. Display one of these crosses and ponder John’s insistence that when Jesus was raised up (on the cross) he drew all the people of the world to him. U This is a very simple healing story AND when combined with the other readings for the day is an invitation to identify all the snakey things in our lives. Display a stop sign and a warning sign and a danger sign noting the mean of each. Next, show a picture of a snake and explain that for many people just seeing a snake says warning, danger, stop! Recall the snake in the Fall in Eden and note that from then on snakes have been symbols of bad things, evil. The snakes in this story are sent by God because the people were not trusting God and were complaining to Moses that God wasn’t doing enough for them. God sent snakes, symbols of evil, to bite them and remind them of their snakey evil. Identify some of the snakey things we do to ourselves and each other today. Then recall the end of the story. God saved the people. He healed them from both the snake bites and their complaining. That will set the stage for John’s comments about Jesus being like the snake on the pole. Jesus saves us from all the snakiness. Do remember that some children, especially some boys, really like snakes. Assure them that snakes are not bad, but that they are used as a symbol of evil. U This is a psalm pilgrims sang as they climbed the long steep hill to Jerusalem to worship at the Temple. It was like some of the songs we sing on long car trips today. Point out the introduction and the format of each verse. Identify the people in each stanza: travelers lost in the desert, prisoners, the sick, and sailors on the sea. Then invite worshipers to read with you the parts the whole group of pilgrims traveling together would have sung with one reader reading the verse about the sick. To really get into the road trip aspect of the psalm have the congregation stand and walk in place as they read. U Read these verses after reading the Numbers story. Suggest that some of the pilgrims might have thought about the snake-bit people looking at the bronze snake on the pole and being healed. It is also a psalm those snake-bit folks might have recited after being cured. And, a good prayer for us when we recover from illness. Needless to say children will not follow this as it is read. It is filled with abstract words that are connected in long complicated thoughts. But there are ideas in it older children appreciate when unpacked for them by worship leaders. U Even children know what it feels like to be “stuck,” to feel like or wish you were dead, to be hopeless. They get stuck in ongoing arguments with siblings, caught in the crossfire of changing friendships, listen fearfully as parents fight, worry about finances if the main money maker is unemployed, survive an endless difficult school year, sense that everyone else is somehow “more” than me, and more. Without being suicidal, they can say “I wish I was dead.” With help older children can even recognize that their deadness is as much their own fault as the fault of those around them. And, they can admit that they can’t make the changes needed. “There’s A Wideness In God’s Mercy” – This short hymn includes difficult words for children. Point out the very similar words mercy and love asking worshipers to find them in the song. Then put the verses into your own words and invite everyone to sing. 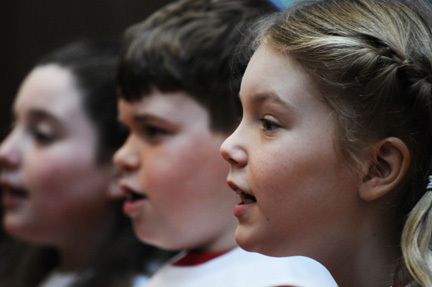 With this introduction, children are able to follow and begin knowing this hymn. “Help Us Accept Each Other” expresses Jesus’ and Paul’s ideas in terms of acceptance rather than salvation. Every child knows about the desire to be accepted by God and other people. Point out “acceptance” everywhere it appears in the hymn. Or, direct people to verse 3 which summarizes the rest of the song. Read it together and/or walk through it putting it into your words. With this help children will try to sing at least verse 3. “Let Your acceptance change us. U John 3:16 may be the most famous verse in the Bible, but unless your congregation encourages children to memorize verses, don’t count on them recognizing it. U Today’s crosses are most helpful in unpacking these verses for children. The crucifix invites us to explain that there was nothing magic about the cross, but that God loved us so much that Jesus died on a cross and forgave us for it. Display a Central American cross to talk about how God loved and drew to God all the people in the world. Give each worshiper a paper featuring a large empty cross shape. (Maybe it is the back page of the order of worship handout.) During the sermon invite them to draw pictures of or write the names of people Jesus died for on the cross. Identify and challenge them to identify a variety of people including themselves and some people they don’t particularly like. U Children feel judged by many adults in their lives – coaches, parents, teachers, even worship leaders. Especially this late in the school year students who do not do well in school feel trapped and judged by many of their teachers. It is a very “stuck,” hopeless place to be. John assures children that God is not interested in judging them. That is very good news. 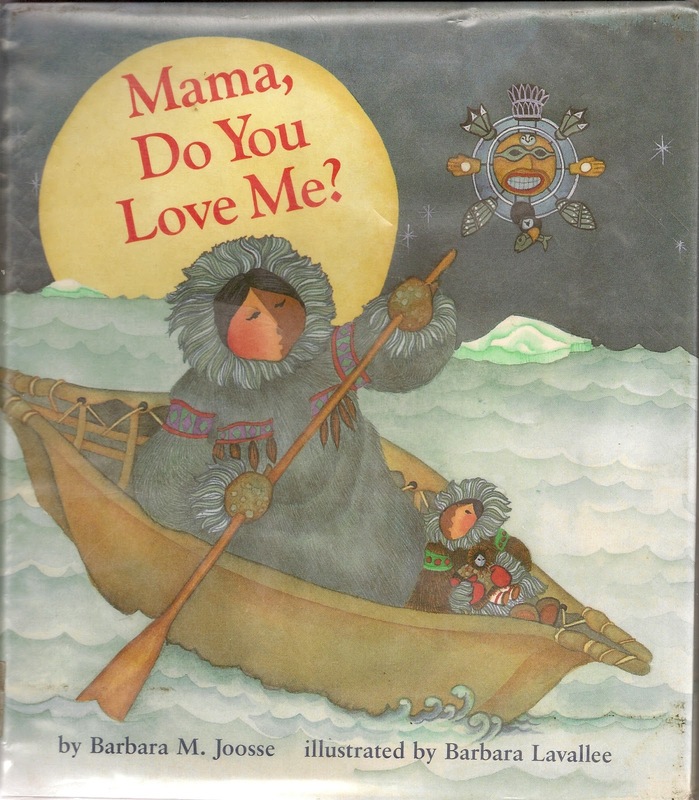 U Children’s literature explores unlimited love in several classic books in which children repeatedly ask a parent whether the parent would still love them if they did a variety of bad deeds. The parents, like God, all insist that they would love the children no matter what. That is grace. U Children understand about hiding under the covers or in a dark closet to do something they should not do. In North America on the first Sunday after the change to Daylight Savings time they are also aware of being able to be outside in the evening light longer they could during the winter. All this gives them good connections to the light and dark in verses 19-21. Thank you for this wonderful post. 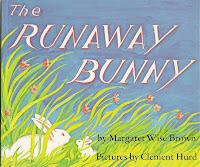 Runaway Bunny.... of course!! Way cool, and verrry helpful. Thank you so much for the work you devote to this website. You are always a quality place to visit for inspriation and wisdom about faith and our young. I want to share with you a book that used this past Sunday to discuss God's love during my children's message. I found the book "I Love You Stinky Face" by Lisa McCourt a vivid example of unconditional love. The children loved it and the message was well received. 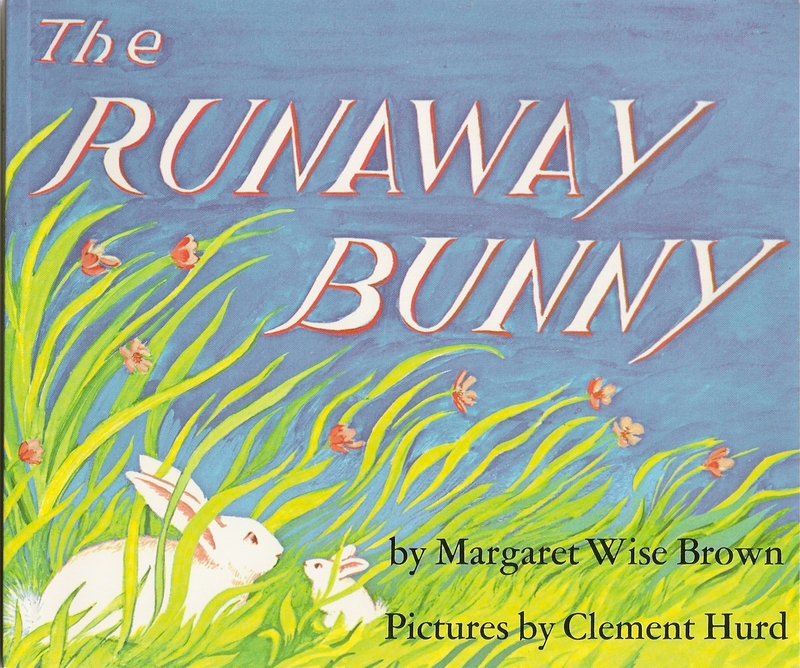 Also many memories were tickled by the older worshipers as they remembered hearing or reading this book many...many time as a parent or a child. With a title like "I Love You Stinky Face" the book has be good - and as you say, it is. Thank you for bringing to everyone's attention.